Please e-mail us with news of your acceptances and awards. Comments and questions regarding the work found in IPR may be sent to the same address as may inquiries from literary agencies wanting to get in touch with our writers. In Posse Review is dedicated to bringing opportunities to writers while providing the best of contemporary writing to our readers. 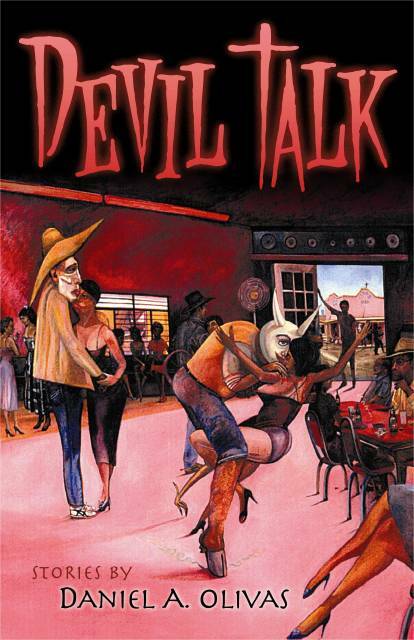 Daniel Olivas's short story collection Devil Talk will be released in September by Arizona State University's Bilingual Press. His short story "willie," which first appeared in IPR, is included in the collection. Chimamanda Ngozi Adichie's novel Purple Hibiscus has been long-listed for the Booker Prize. Her story "My Mother, the Crazy African" appears in IPR's Multi-Ethnic Anthology. Jim Sallis’s acclaimed Lew Griffin series is now available in trade paperback from Walker & Company. A new collection of his short stories, A City Equal to My Desire, will be available this fall from POINTBLANK, an imprint of Wildside Press. Jim Sallis is IPR's Mystery, Crime, and Science-Fiction editor. Tobias Seamon's first novel The Magician's Study has been published by Tutlre Point Press. His chapbook Loosestrife Along the River Styx appeared in summer 2004 from Foothills Publishing. His short story "The Open Lift" appeared in Jim Sallis's Mystery, Crime, and Science Fiction section of IPR. Jim Ruland, whose story "The Streets of San Francisco 1977" appears in IPR's Multi-Ethnic Anthology received a 2004 Literature Fellowship from the National Endowment for the Arts. Joseph M. Faria's poetry collection The Long Way Home was published by Lit Pot Press in 2003. His Multi-Ethnic Anthology story is "Saudade." Chimamanda Ngozi Adichie's short story "The American Embassy" was selected for O. Henry Prize Stories 2003. Her novel Purple Hibiscus was published in October, 2003, by Algonquin Press. Her story "My Mother the Crazy African" appears in IPR's Multi-Ethnic Anthology." Xujun Eberlein, whose novel Disciple of the Masses was excerpted in the "Work in Progress" section of Issue 14 and also appears in IPR's Multi-Ethnic Anthology, was among the finalists in the 2003 William Faulkner Creative Writing Competition. Sefi Atta,whose story "Social Interaction" appeared in Issue 14 and in IPR's Multi-Ethnic Anthology, placed third in the 2003 Zoetrope All-Story Short Story Contest with "The Miracle Worker." The paperback version of James Sallis's Chester Himes biography was published in the fall of 2003, reissues of two earlier novels out in uniform trade paperback will coincide with publication of a new novel. He has sold six novels to Spain, publication of one in Argentina brought a marvelous interview/profile in the Buenos Aires newspaper, and another great two-part interview appeared in the Luxembourg newspaper La Voix. Meanwhile the Boston Globe has contracted with him for a monthly books column. This column will join his columns for F&SF and Web Del Sol.